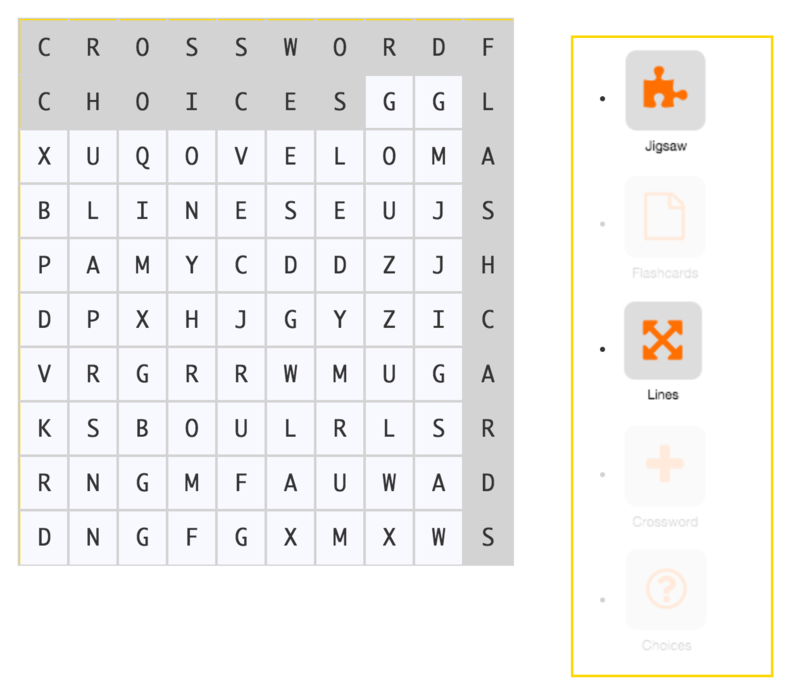 Word Search Study Set uses the terms in the Study Set to build a hidden word puzzle. The term must consist not more than eight alphabets and with no special characters in it. When the word has been found, it will be highlighted, and the definition (or image) will disappear from the list.